David Jensen, DSc, Professor, College of Information and Computer Sciences, University of Massachusetts Amherst, “The Case for Empirical Evaluation of Methods for Causal Modeling” at 11:00 am on Thursday, February 15, 2018, in Rooms 407A/B BAUM, 5607 Baum Blvd., The Offices at Baum. Abstract: A variety of methods have been developed for constructing causal models. These include methods for estimating the structure and parameters of causal graphical models, as well as a large number of methods for estimating individual causal dependencies (e.g., propensity score methods). The primary evidence for the effectiveness of these methods is based on either theoretical proofs or performance on synthetic data. In this talk, I review the state of this evidence, and argue that empirical evaluation is a virtual necessity for the field to progress. I show how the progress of non-causal modeling methods was transformed in the 1980s and 1990s by a focus on empirical evaluation. I describe a set of techniques for empirical evaluation of methods for causal modeling, including some novel data sets and evaluation techniques developed in my research group. Finally, I briefly survey several practical issues that are likely to arise if empirical evaluation becomes the norm, and how considering these issues could significantly advance the field of causal modeling. 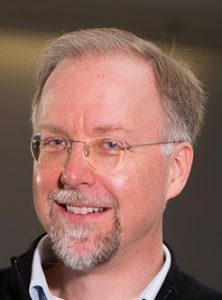 Biography: Dr. Jensen is a Professor of Computer Science at the University of Massachusetts Amherst. 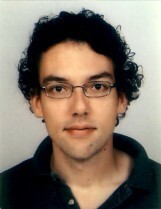 His research focuses on methods to learn accurate causal models of large social, technological, and computational systems. He regularly serves on program committees for several conferences, including the ACM SIGKDD Conference on Knowledge Discovery and Data Mining, the IEEE International Conference on Data Mining, the International Conference on Machine Learning, and the Conference on Uncertainty in Artificial Intelligence. He has served on the Board of Directors of the ACM Special Interest Group on Knowledge Discovery and Data Mining (2005-2013), the Defense Science Study Group (2006-2007), and DARPA’s Information Science and Technology Group (2007-2012). In 2011, he received the Outstanding Teacher Award from the UMass College of Natural Sciences. In 2017, one of his papers received the IEEE INFOCOM Test of Time Paper Award. 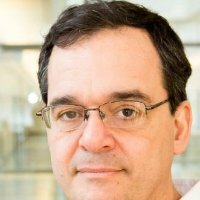 Jonas Almeida, PhD, Professor and Chief Technology Officer, Department of Biomedical Informatics, Stony Brook University (SUNY), “Data Science for Biomedical Informatics in the Planet of the Apps” at 11:00 am on Thursday, November 30, 2017, in Rooms 407A/B BAUM, 5607 Baum Blvd., at the Offices at Baum. Abstract: As in all new fields of academic inquiry, Data Science starts with an identity crisis. So, what’s new about the way Data Science derives from Computer Science, Biostatistics and Genomic Atlases? Does the deployment of interoperable Data Spaces from Genomic Data Commons to HL7 FHIR, the commoditization of Cloud Computing, or the optimized classification with Machine Learning, fundamentally contribute to answering important questions? What about Precision Medicine, does Data Science even play a role in that translation beyond being a toolbox? This discussion will be illustrated with examples* of how Data Science already contributes to some of these endeavors, and how it could for many others, as it matures into a quantitative framework that is both pervasive and participated. It will be argued, and illustrated with published work, that Data Science opens a number of novel avenues in quantitative research that go beyond its immediate applications to the delivery of HealthCare. Bring your laptop if you want to try the examples as they are presented. Biography: In January 2015, Dr. Almeida accepted the new position of Professor and Chief Technology Officer at the Biomedical Informatics Department of Stony Brook University (State University of NY, Long Island). This follows 4 years as the inaugural director of a new Division in Informatics in the Department of Pathology of the University of Alabama at Birmingham (UAB), and 5 years as Professor of Bioinformatics in the Division of Applied Mathematics of the University of Texas MDAnderson Cancer Center (2005-2010). His current research interests are at the intersection of Semantic Web abstractions and distributed Cloud Computing approaches to Bioinformatics application development in the pervasive Web Platform. The use of computational statistics at the intersection of those two fields now gets a fancy new name, Big Data Science, which is also the focus of his educational and service activities. This research pulls together threads from past, and ongoing, work on mathematical modeling and machine learning for Medical Genomics, at a time when these fields are challenged by the increasingly data driven nature of modern Biomedical research. In his own work this has often focused on The Cancer Genome Atlas (TCGA), a Biomedical Big Data resource that enables, and requires, this new synthesis for the development of Personalized Medicine applications. As Population Health data becomes available in real-time (see for example http://bit.ly/pqiSuffolk), the opportunities for pursuing Machine Learning as a pervasive Web Computing exercise are emerging, with a new avenues for research in Artificial Intelligence applications embedded in the increasingly patient-facing Health-Care enterprise. 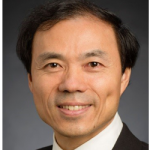 Professor and Willett Faculty Scholar, Department of Computer Science, University of Illinois, “Statistical Approaches to Analysis of Traditional Chinese Medicine Practice Records” at 11:00 am on Thursday, May 18, 2017, in Rooms 407A/B BAUM, 5607 Baum Blvd., The Offices at Baum. 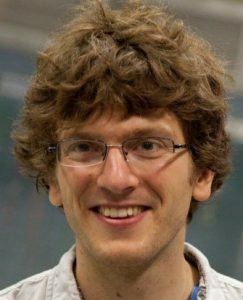 Professor and Chair, Department of Statistics, University of Washington, “Nested Markov Models” at 11:00 am on Thursday, April 20, 2017, in Rooms 407A/B BAUM, 5607 Baum Blvd., The Offices at Baum. Abstract: Directed acyclic graph (DAG) models may be characterized in several different ways: via a factorization, via d-separation or a local Markov property. It has been known for a long time that marginals of DAG models also imply equality constraints that are not conditional independences. The well-known ‘Verma constraint’ is an example. In this talk, we will show that equality constraints of this type can be viewed as conditional independences in kernel objects obtained from joint distributions via a fixing operation that generalizes conditioning and marginalization. We use these constraints to define, a graphical model, called the “nested Markov model”, that is associated with acyclic directed mixed graphs (ADMGs). Naturally associated with a DAG with latent variables, is an ADMG known as the “latent projection”. The nested Markov model associated with an ADMG is a (smooth) supermodel of the model associated with the original latent variable model. Nested Markov models thus constitute a natural class in which to perform causal model search. This is joint work with Robin Evans (Oxford), James Robins (Harvard) and Ilya Shpitser (Johns Hopkins). Biography: Dr. Richardson is Professor and Chair of the Department of Statistics. He is also an Adjunct Professor in the Departments of Economics and Electrical Engineering and a member of the eScience Steering Committee. He received his BA in Mathematics & Philosophy from the University of Oxford and his MS and PhD in Logic, Computation & Methodology from Carnegie Mellon University. He is a Fellow of the Center for Advanced Studies in the Behavioral Sciences at Stanford University. His research interests include Graphical Models and Causality. Ioannis Tsamardinos, PhD, Associate Professor, Department of Computer Science, University of Crete, Greece. Ricardo Silva, Ph.D., Lecturer, Department of Statistical Science and Centre for Computational Statistics and Machine Learning, University College London.